« why don’t they make size 6 (US) shoes? The Sumner Hollywood 3’s current lineup of films is a weird bunch, but one that says a load about cinema-going in our sleepy little beachbums-families-and-immigrant-professionals village. 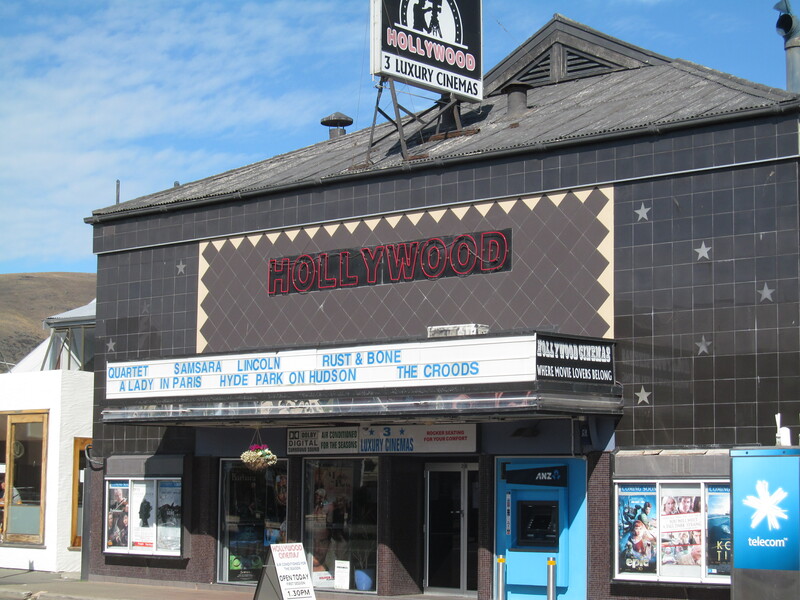 In some ways this set of films is a nice indication of what the local movie house turned into after the quakes shrank the number of cinemas in Christchurch considerably. You have your Film For Distinguished British Actors (Quartet), a couple of French art films (A Lady in Paris and Rust and Bone) a straight-ahead art flick (Samsara), a movie to bring the kids and families in (The Croods) and a couple of Hollywood flicks (Lincoln and Hyde Park on the Hudson). I would be delinquent in my forthcoming-book-flogging if I did not notice that the only two live action Hollywood films are fictional films about US presidents. What, exactly, is the appeal of a film about FDR or Abe to a New Zealand audience, for the immigrants who outnumber Americans in Christchurch? What would bring a New Zealander into the auditorium? By way of comparison, The Queen did OK box office in the US, but it still finished behind such offerings as Scary Movie 4, The Santa Clause 3, Jackass Number Two, The Pink Panther, Saw III, Big Momma’s House 2, Fast and Furious Tokyo Drift, and Underworld Evolution – and that’s just a sampling of the sequels. I can’t imagine the usual crowd at Classic Cinemas Cinema 12 lining up to see a film about FDR’s contemporaries Michael Savage or Peter Fraser.